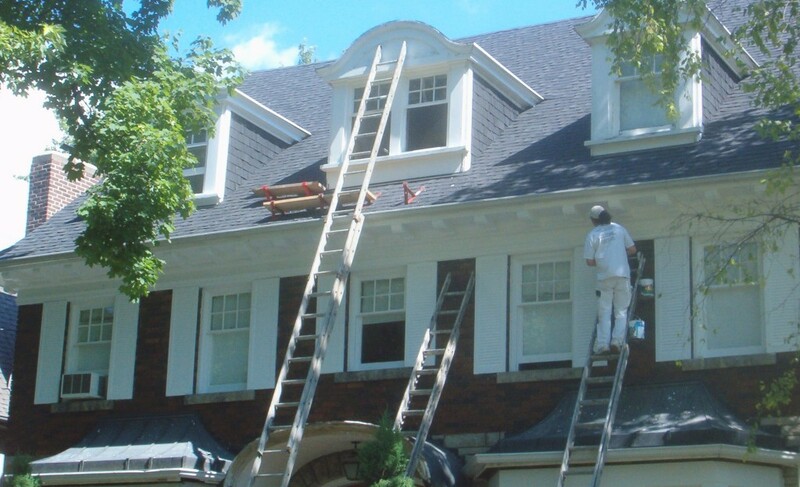 Aardvark Painting is at the top of the class of Exterior Painting Contractors in Chicago and knows a fresh coat of house paint may be your last chance to protect the Exterior of your home from moisture and impending wood rot that often takes place in our tough seasons. Failing to take the necessary steps to protect your home can be very costly. If a home goes unpainted through the seasons you may end up with extensive wood damage thatould cost thousands to repair. We 1st determine if there are problems with your your paint and prescribe the remedy. The easiest way to prevent this is with a fresh coat of paint before winter weather sets in. Aardvark Painting with our skilled Chicago Exterior Painters will uses the finest paints that will insure your paint job last for a long time. 100% Guaranteed! 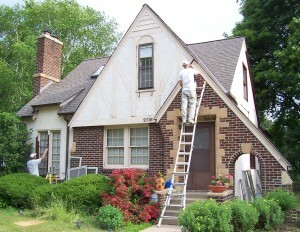 Painting your home is also the most cost effective home remodeling project that can be done. Imagine, for a nominal cost, completely changing the colors and look of your home. We have painted homes with modern, updated hues and colors and friends who have come to visit the homeowners, have driven right by! Check out these amazing before and after photos. Read about the three things we can do to help you pick the best color for your home, all these services are FREE for our customers. Contact Aardvark Painting today to discuss protecting your home from wood rot and the types of paint we can use to protect your house for years. We can schedule a free painting estimate for you right away! Most projects will be professionally prepared including power washing, caulking, scraping and priming prior to any final coats of the best exterior house paint. Power washing of all surfaces to be painted to clean and remove all mold, dirt, grime ect.. prior to painting. Use drop cloths, tarps and plastic to protect form Paint drips, paint chips and other construcion debris. Covering all all windows, light fixtures and other areas that will not be painted. Replace rotted wood where needed. Hand Scraping all loose paint. Prime all bare wood areas. Caulking all gaps where wood meets wood up to 1/4″ and where necessary. Apply the necessary coats of paint to ensure full coverage. Cleaning up and organize all equipment at the end of each day. If you’re looking for a professional Chicago Exterior painter, then please call us today at 224-585-8035 or complete our online Free Exterior painting estimate form.